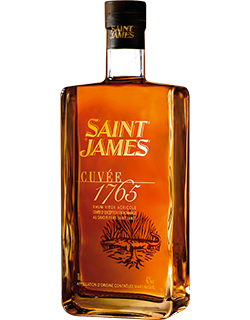 Since 1765, SAINT JAMES Plantations elaborate highly awarded “Rhums Agricoles” in Martinique with passion and craftsmanship. 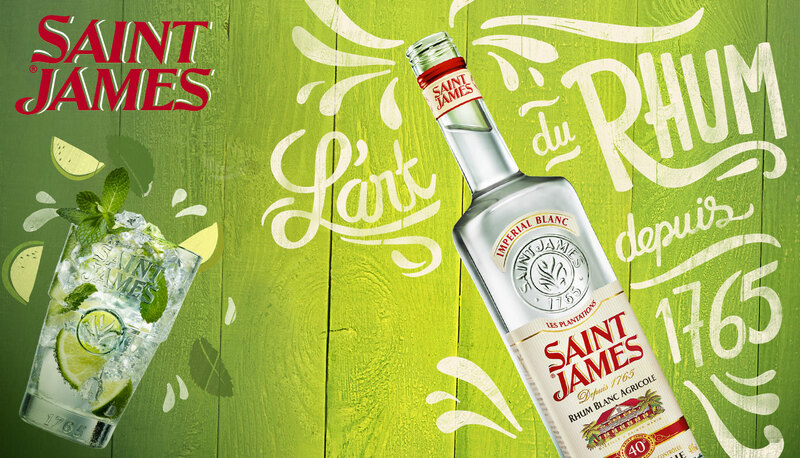 SAINT JAMES is the No.1 “Rhum Agricole” in the world. 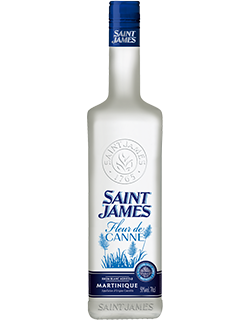 This Imperial White Rum produced in Sainte-Marie in Martinique is a clear reflection of fresh cane sugar, with a very well-balanced vegetal and fruity character and wonderful aromatic power. 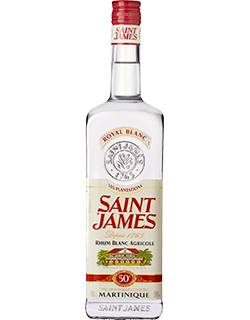 SAINT JAMES Imperial White combines aromatic power and character, while maintaining huge finesse. An exceptional white Rum produced in limited quantities exclusively from cane sugar collected during the dry season, creating a rich and fruity bouquet. A mellow expression of the essence of Rum. 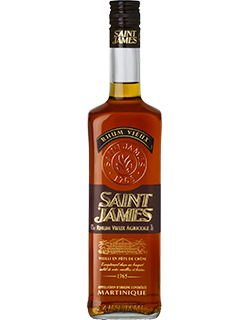 SAINT JAMES Straw Pale is an elegant and aromatic Rum. It reveals delicate notes of vanilla, honey and liquorice. 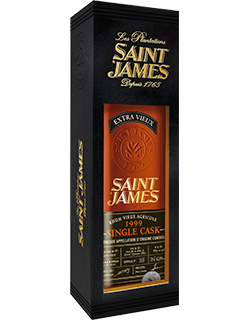 Aged for a minimum of 18 months, SAINT JAMES Royal Amber boasts extreme aromatic complexity. With lots of harmony and presence on the palate, it adds a hint of wood and vanilla to cocktails. 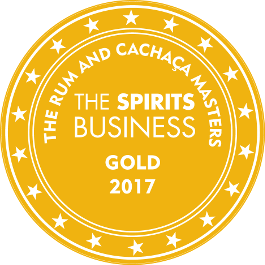 This Old Rum reveals remarkable aromatic complexity, the product of long ageing in small oak casks for a minimum of 3 years. 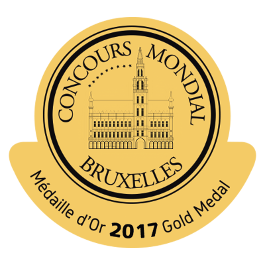 It expresses complex and heady aromas with notes of plum, prune, almond and candied fruits, alongside vanilla. 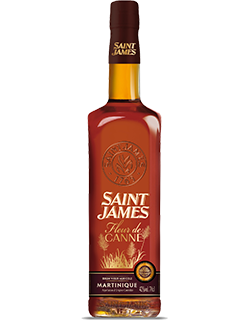 SAINT JAMES Fleur de Canne Old expresses all the aromatic generosity of the Agricole Rhum and benefits from 4-5 years ageing in carefully selected casks, which adds rich notes of blonde tobacco and mocha, whilst preserving the original notes of ripe sugar cane. 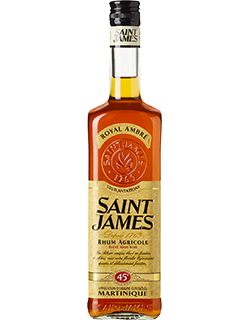 A subtle blend of prestigious rums aged for 5-6 years in small oak casks in the SAINT JAMES warehouses in Sainte-Marie in the north-east of Martinique. 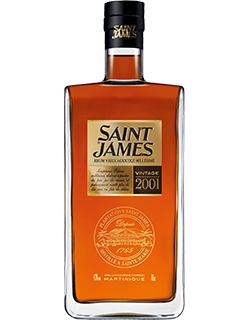 This bottling pays tribute to the creation of SAINT JAMES Plantations and reveals sweet, fruity notes and a backbone of toasted notes. 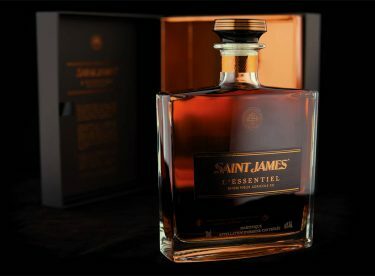 Produced only in years in which the sugar cane is richest in aromas, the SAINT JAMES Vintages have a refined, warm character with roasted notes from the wooden casks used for ageing. The finesse provided by the original rum enables a more precise expression, combining woody and forest floor flavours with notes of sweet spice on a lively backbone of nutmeg. 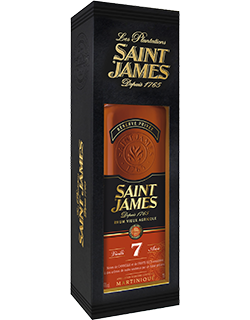 A rare rum, aged for a minimum of 7 years in the SAINT JAMES warehouses, renowned for its finesse and wonderful aromatic richness. The initial nose of sweet spices is confirmed on the palate and gives way to roasted notes on a backbone of fern and wood. Twelve years of very long ageing give this luxury rum remarkable intensity and finesse. 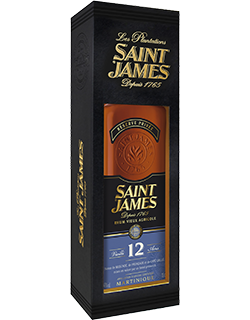 SAINT JAMES 12 Year Old stands out for its dry, spicy character, enriched by the roasted notes typical of SAINT JAMES. 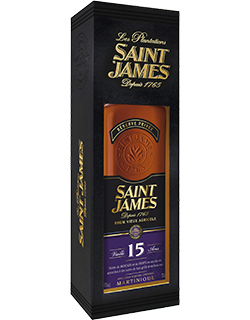 15 years of maturation have helped make this SAINT JAMES rum an exceptional expression renowned for its full-bodied and complex aromas. The initial grilled and toasted notes give way to a round and harmonious palate. A very limited edition in which every bottle is produced from a single cask of rum. 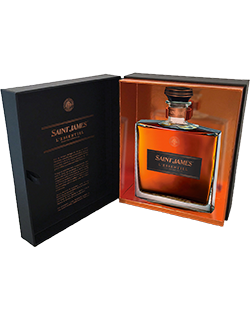 Each cask was chosen to bring roundness and power during the long period of ageing. 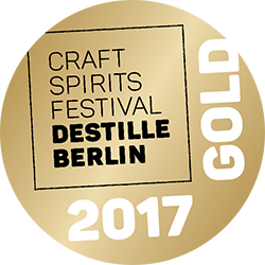 A trilogy of rare and exceptional vintages from 1998, 2000 and 2003, this blend results from the skilled selection of Agricole Rhums straight from the cask. Aged for a long period of 12 years in carefully selected small bourbon casks, these rums are left untouched before blending to ensure they maintain their full palette of flavours. 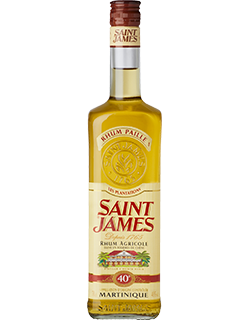 Since 1765, SAINT JAMES has produced “Rhums Agricoles” from pure sugarcane juice. Harvested from January to July, the canes are quickly crushed to ensure their aromatic power and freshness. 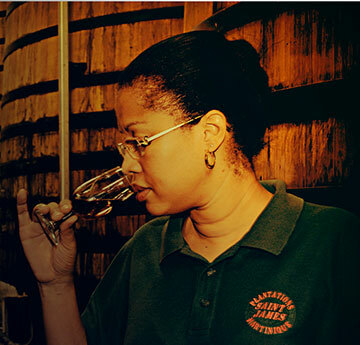 The sugarcane juice is then fermented before being distilled in Creole stills at the distillery in Sainte-Marie. The blending of the Rums is a painstaking process carried out by the cellar master. 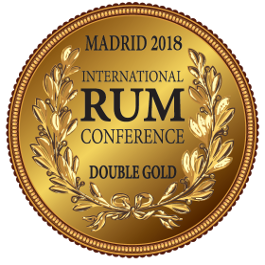 The Rums that will be aged are then placed in oak casks, with the tropical climate leading to maturation that is almost twice as fast as on the mainland and a rate of evaporation, known as the “angel’s share”, that is twice as significant. In a glass, add fresh mint leaves, lime and sugar canne syrup and carefully crush with a pestle to extract all the aromas. Add crushed ice and SAINT JAMES Imperial White Rhum. Stir with a spoon. In a shaker filled two-thirds with ice cubes. Shake vigorously for 15 seconds. Pour into a glass and serve. In a shaker filled two thirds of the way with ice cubes. Shake vigorously for 15 seconds. 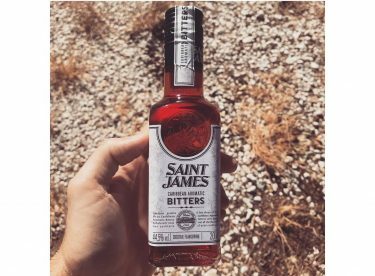 SAINT JAMES Agricole Rhums partnered with International Rum Ambassador, Ian Burrell for some mixology-orientated quality time. From this association emanated an attractive and tasty cocktail creation involving the Cuvée 1765. PLEASE ENJOY OUR DRINKS RESPONSIBLY. Ce site est exclusivement reservé aux personnes majeures. 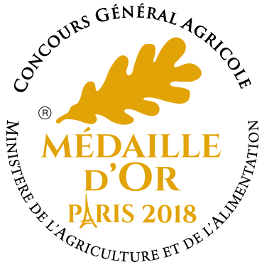 Je certifie avoir l'âge légal de consommer de l'alcool dans mon pays de résidence. This site is exclusively reserved for adults. I certify that I am of legal drinking age in my country of residence. Este sitio está reservado exclusivamente para adultos. 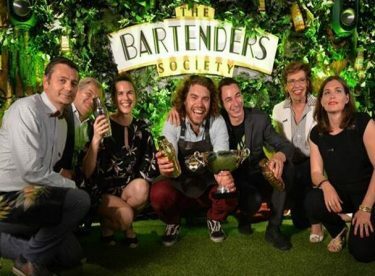 Certifico que tengo la edad legal para beber en mi país de residencia.